We’ve had some sad events this summer that have affected our family. 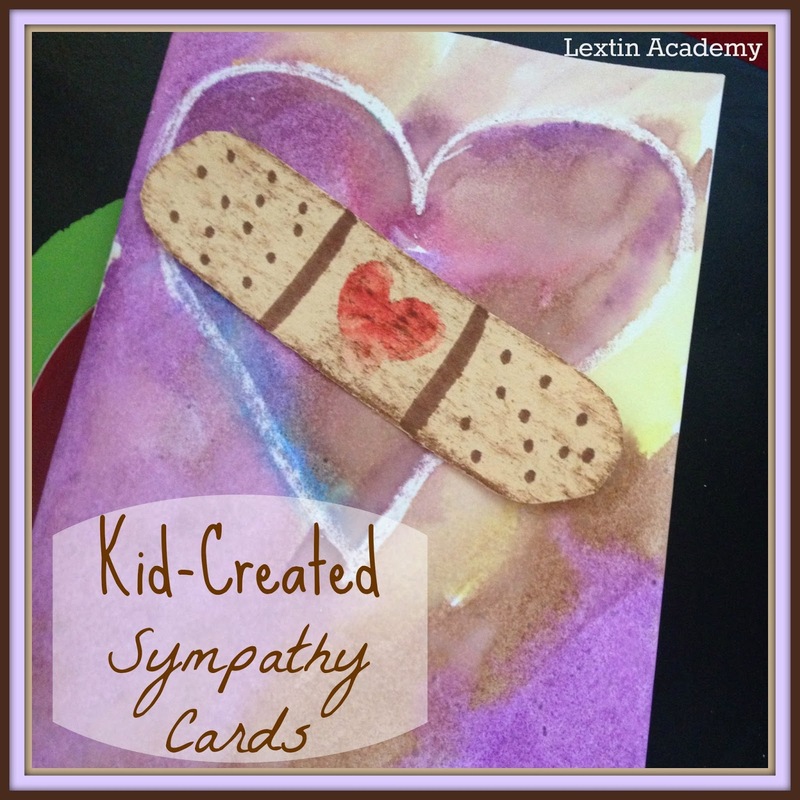 The kids helped me make some sympathy cards to send out to family and friends. The kids hoped that they brought a smile to some faces when they were received. I folded and cut down some cardstock to fit inside an envelope. I drew a heart on the front of the card with a white crayon. 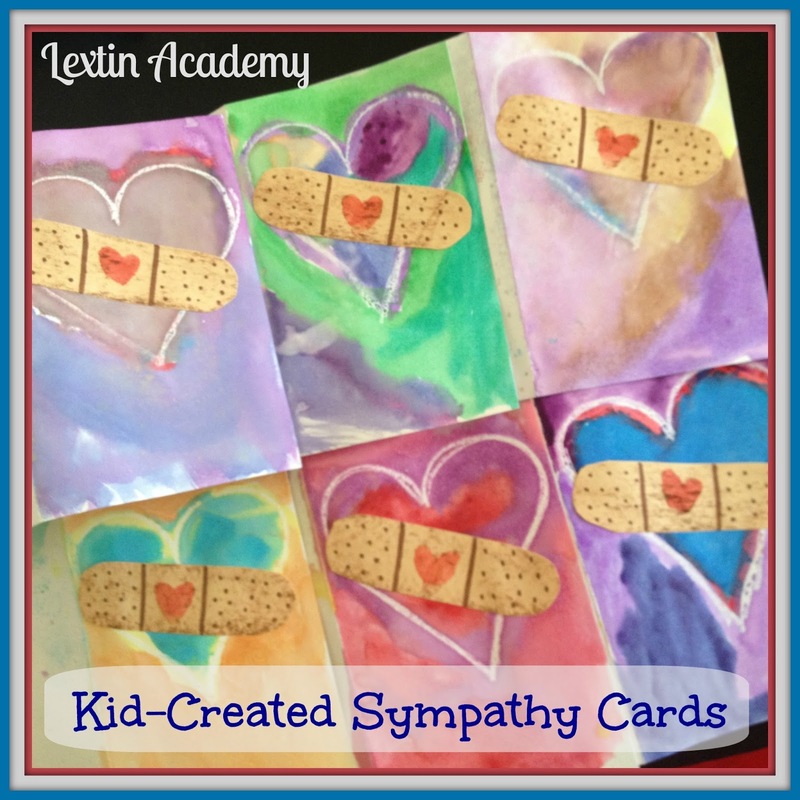 The kids used watercolors to paint the front and inside of their cards. I drew small bandaids on tan construction paper and cut them out. 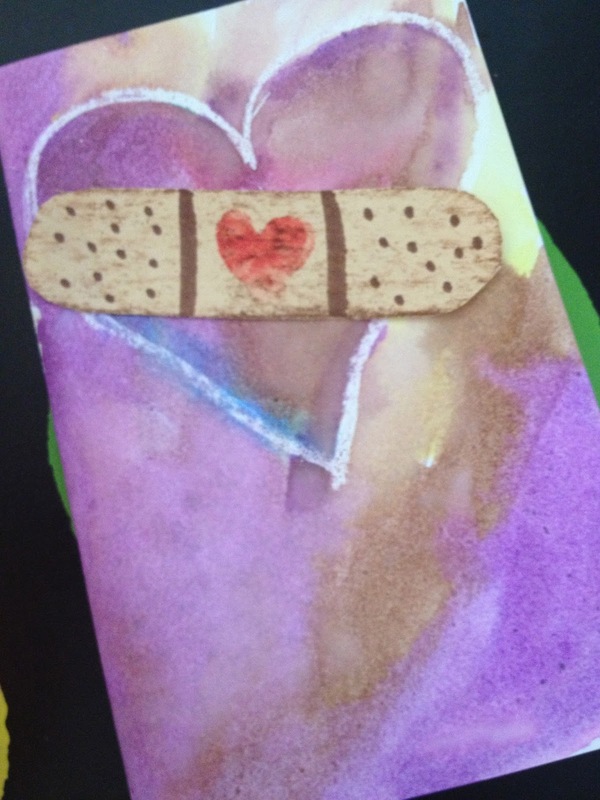 We used their pinkie finger prints to make small hearts in the center of each bandaid. Then we used a brown chalk pastel to shade over the bandaid. Once the cards were dry we glued the bandaids to the front and then we wrote our messages in dark markers on the inside.